Gary Neville says Ole Gunnar Solskjaer's first Premier League defeat as Manchester United's caretaker manager was "not embarrassing" and he remains favourite for the permanent job. Solskjaer had only lost one game in all competitions since arriving in December and was unbeaten in 12 Premier League games heading into Sunday's crunch clash with Arsenal. But after their Champions League heroics in Paris on Wednesday, Manchester United lost 2-0 at the Emirates, although Neville does not think it will damage Solskjaer's chances of landing the full-time role. "Ole Gunnar Solskjaer has retained his positivity in every single press conference he has done so far and will retain it at the end of this game," he said on the Gary Neville podcast. "He'll point to big moments in the game that didn't go his way, understanding that it can happen because he has had a lot of moments go his way in the last two or three months but today, it felt a bit like one game too far - their luck ran out. "United have it all to play for. I do think Solskjaer will get the job because what he has done in these three months deserves a shot at it. "The board at United have tried everything - they've tried one of the best manager in the world in Jose Mourinho, the experienced guy in Louis van Gaal, who had been at all the biggest clubs in Europe and then you think about giving it to David Moyes, which is the approach the club had always taken about the British manager who deserves a chance. "The only thing they've not done is given it to one of their own who understands the club. Solskjaer has connected the club, the results have been incredible and there was always going to be a defeat. But it's not been a defeat that's embarrassing, Manchester United could easily have drawn or won that match today, it's just gone against them in the big moments. "I think ultimately, what Solskjaer has done already when they drew with Burnley or lost in the Champions League to PSG, is got them to respond straight away. "One defeat is a blip. Two defeats, people start to ask questions. Three defeats is a bit of a crisis and four defeats, you're in trouble - that's the way it works in modern football. "I think ultimately, what Solskjaer has done already when they drew with Burnley or lost in the Champions League to PSG, is got them to respond straight away... He has built up too much favour, he's done too much in the last three months not to have a shot at this and today, Arsenal just shaded it a little bit more." "But he has built up too much favour, he's done too much in the last three months not to have a shot at this and today, Arsenal just shaded it a little bit more." 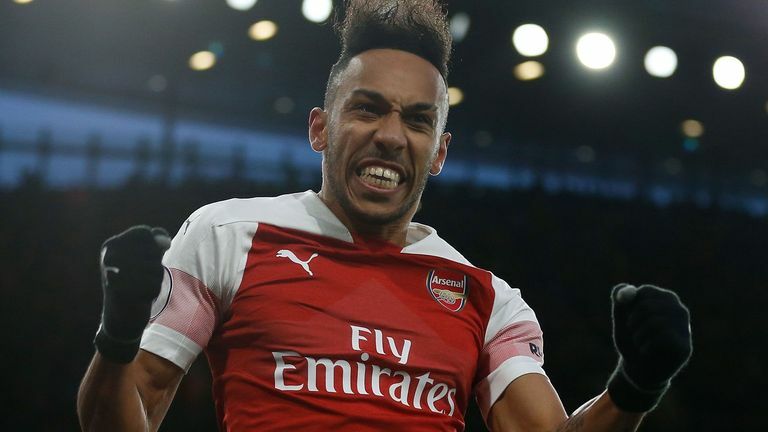 An early Granit Xhaka goal and a Pierre-Emerick Aubameyang penalty won the game for Arsenal, who are now two points ahead of Manchester United in fourth, and Neville believes there was just something lacking from his former side. He added: "I think Arsenal deserved to win overall because of how they approached the game in the first half an hour or so, but on the other hand, I don't think they would have had any complaints if Romelu Lukaku took the two or three chances he had and the ref doesn't give that penalty. "I think Ole will look towards how they lost but I think I've said it before, that is an acceptable way to lose 2-0. You can never say at Manchester United that it is acceptable to lose 2-0, but today was. There were four strikers on the pitch at the end of the game, they had as many chances as Arsenal, more possession but Arsenal, on the day, had more of an edge. "There was something wrong with United - cobwebs, out of their legs, mentality - something wasn't right and in the end, I think that's what cost United. Sometimes when you're not right physically, you don't get that little bit of luck to go with it."